On a party-line vote, the House Energy and Commerce Committee today adopted a revised version of the Save the Internet Act (HR 1644) after repeatedly rejecting Republican proposed amendments, including amendments that would “enshrine permanent forbearance” from certain common carrier regulations, prevent FCC rate regulation under sections 201 and 202 of the Communications Act, and bar the FCC from regulating content on the Internet. The sole amendment to the manager’s amendment in the nature of a substitute (AINS) that won approval was offered by communications and technology subcommittee Chairman Mike Doyle (D., Pa.), the sponsor of the Save the Internet Act. It would provide for a one-year exemption from the enhanced transparency rule in the FCC’s 2015 open Internet order for Internet service providers (ISPs) with 100,000 or fewer subscribers. Consideration of about a dozen proposed amendments to the AINS — only one of which was adopted — and breaks for floor votes, Budget Committee votes, and a joint session of Congress to hear from North Atlantic Treaty Organization Secretary General Jens Stoltenberg extended the markup of the Save the Internet Act into the early evening, ending at TR Daily’s news deadline with two 30-22 votes to adopt the AINS, as amended by Mr. Doyle’s small-provider transparency-exemption amendment, and then to approve the underlying HR 1644. Committee Chairman Frank Pallone Jr. (D., N.J.) said he intended to file the report on HR 1644 with the full House on Friday. Sen. Ed Markey (D., Mass.) has proposed a companion bill in the Republican-controlled Senate, where prospects for passage are much dimmer than in the Democratic-controlled House. The markup began with Rep. Doyle’s offer of the AINS, which he said would clarify the forbearance provisions of the bill by defining and clarifying the “operative effect” of restoring the 2015 order as it was in effect as of Jan. 19, 2017. The AINS “leaves in place the FCC’s ability to put in place new rules to address ISPs’ actions that violate net neutrality,” Mr. Doyle said. Rep. H. Morgan Griffith (R., Va.) raised a point that Republican members returned to repeatedly throughout the day regarding the lack of a list of the 700 FCC rules that Democrats say would be “permanently” forborn from under the Save the Internet Act. Mr. Walden added that by not forbearing from sections 201 and 202 of the Communications Act, the FCC’s 2015 order and the Save the Internet Act leave “wide open doors” for rate regulation, network regulation, and other heavy-handed actions by the FCC. “What we are being told is this bill does not accomplish what it is said it will accomplish,” he added. Communications subcommittee ranking minority member Bob Latta (R., Ohio) said that CRS said that the original bill doesn’t seem to preclude the FCC from “revising” its 2015 forbearance decisions. 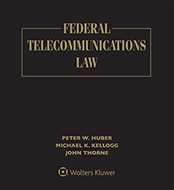 Rep. Doyle said that the FCC had said in its 2015 order which sections of the code of Federal Regulation contain the 700 rules forborn from. Among the defeated amendments proposed by Republicans to the AINS were one from Rep. Walden to make forbearance permanent; one from Rep. Adam Kinzinger (R., Ill.) to prohibit rate regulation under sections 201 and 202; one from Rep. Cathy McMorris Rodgers (R., Wash.) to prevent FCC regulation of Internet content; one from Rep. Bill Flores (R., Texas) to prevent the FCC from imposing taxes or fees on consumer broadband Internet access services; one from Rep. Greg Gianforte (R., Mont.) to prevent the FCC from imposing network management fees; and an amendment jointly proposed by Rep. Latta and Rep. Susan Brooks (R., Ind.) to keep the FCC from asserting control over broadband networks. One Republican-proposed amendment, offered by Rep. Walden, won the support of one Democrat, Rep. Kurt Schrader (D., Ore.). It would have extended the exemption from the enhanced transparency rules from one year to five, and from ISPs with 100,000 or fewer subscribers to ISPs with 250,000 or fewer subscribers. Rep. Walden noted that the House has twice passed legislation to achieve that end, once on a unanimous roll-call vote and once by voice vote.